The loveliness of my 13.5 tog, 16 year old (or more), duvet is one of the many reasons I stay in bed several more hours per day than I probably should. 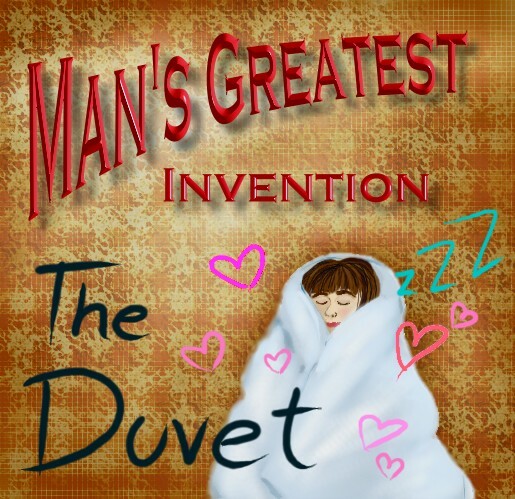 Oh wells… This post is in honour of two great bed accessories: the duvet and duvet cover. We salute you! ← A Christmas Card to You!